Fifteen percent of all weddings are destination weddings. 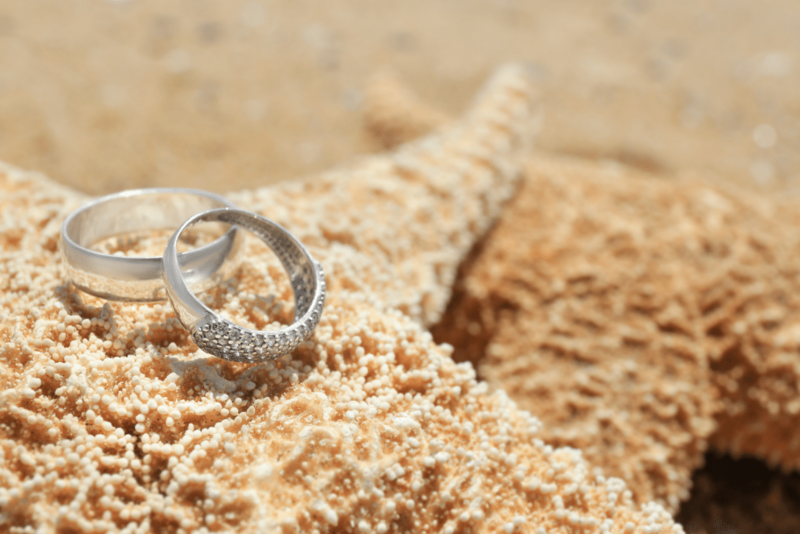 When having a destination wedding, many choose to get married on a beach. No one knows how to have a better wedding than celebrities. Grab a few ideas for your big day from these five examples of a perfect celebrity beach wedding. Megan Fox and Brian Austin Green’s 2010 wedding in Kaupulehu-Kona, Hawaii tops our list for beach destination weddings. Their wedding included an intimate sunset ceremony on the beach. It was so intimate that their only wedding guest was Green’s 8-year-old son. Their unique twist was having the wedding rings arrive in a Conch shell instead of the traditional ring bearer pillow. Matt Damon and Luciana Barroso’s 2013 vow renewals in Saint Lucia Caribbean had to make our list. Even though they were already married, their celebration was as lavish as any wedding. The couple rented out the entire Sugar Beach Resort for their 50 guests. The couple exchanged vows under a thatched roof at sunset with the beach behind them. After the ceremony, guests enjoyed a beach cocktail reception with Tiki torches lighting up the area. Ben Affleck and Jennifer Garner’s 2005 wedding in Parrot Cay in the Turks and Caicos Islands was a low-key beach elopement. Both wore white and only two guests were present during the ceremony. After exchanging vows on the beach, they spent a few days at the private resort. Garner told sources that she romantically ran across the beach to him during the wedding. Johnny Depp and Amber Heard’s 2015 wedding took place at a private ceremony in the Bahamas. The two exchanged vows under a white marquee decorated with white flowers. During the thirty-minute ceremony, the wedding party kicked their shoes off into the sand. The big day took place on Depp’s private island. After the ceremony, guests enjoyed the beaches by snorkeling and eating food cooked by private chefs. Audrina Partridge and Corey Bohan’s 2016 beach wedding took place in Hawaii overlooking the ocean. One Hundred guests joined in on their special day. The bohemian, beach themed wedding featured soft, natural tones with hints of cobalt blue. The reception included twinkling lights and hanging flowered chandeliers. Their four-month-old daughter participated in the ceremony for a unique touch. Take a few of the celebrity ideas listed above and incorporate them into your own Florida wedding. Lover’s Key in Florida is the perfect location for your own celebrity beach wedding. This state park beach location offers three venues for a secluded, natural wedding. 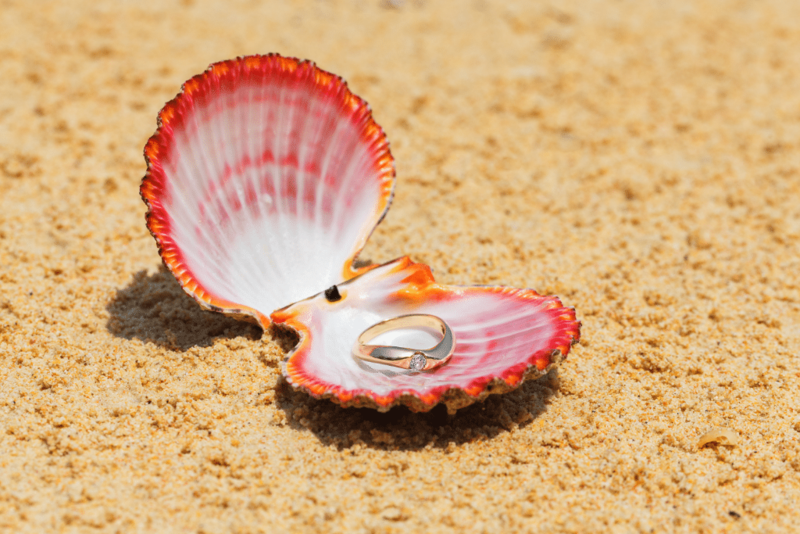 For help making your destination beach wedding the perfect day, contact us.